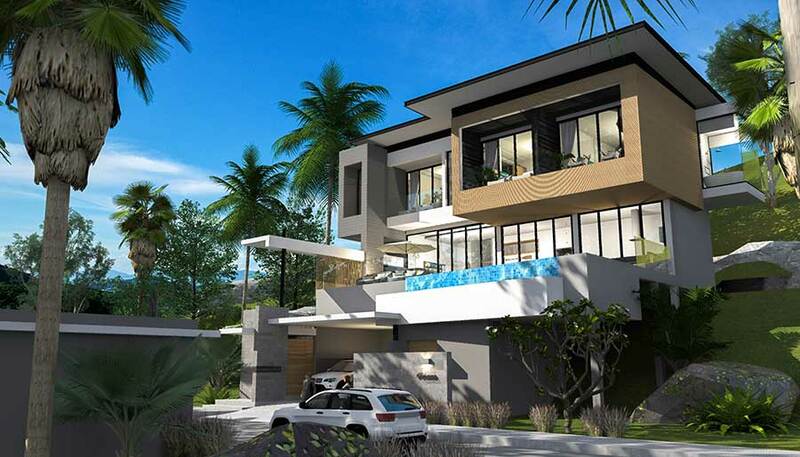 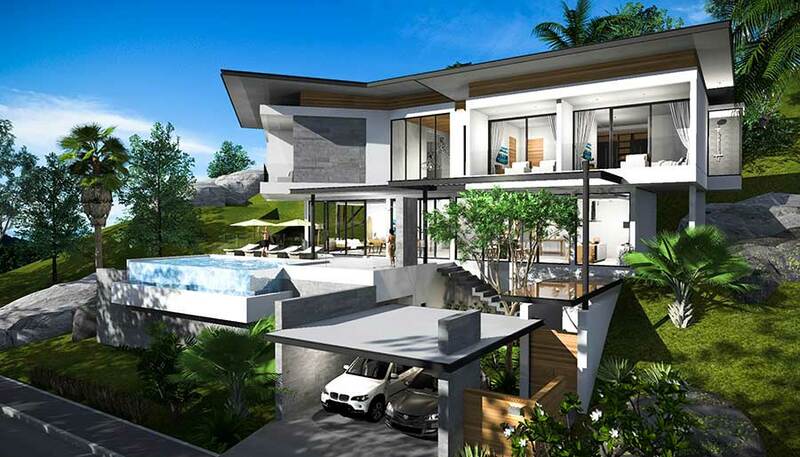 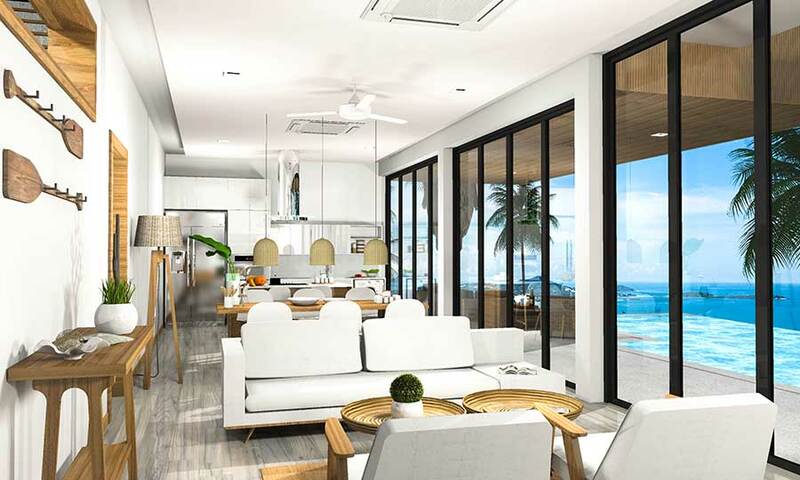 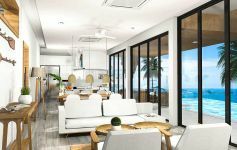 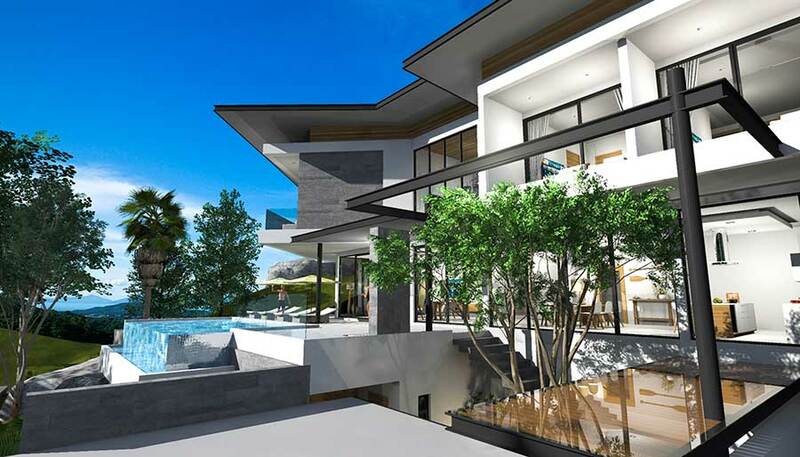 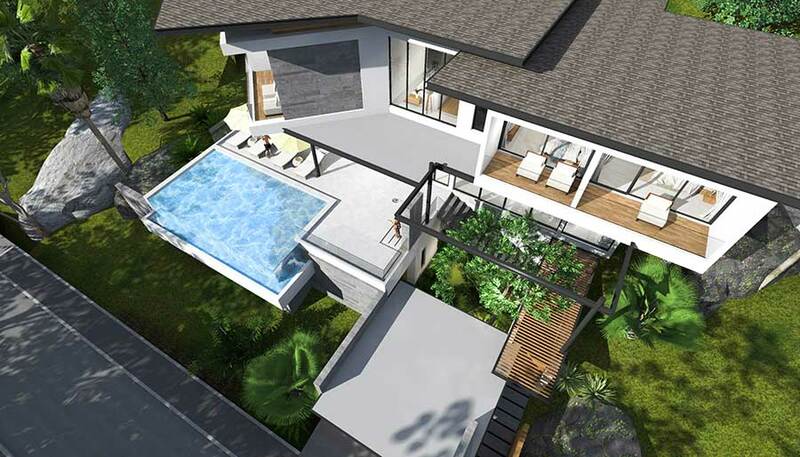 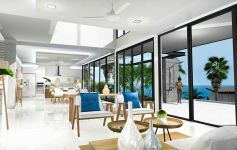 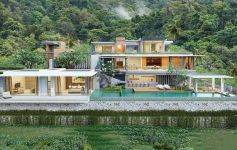 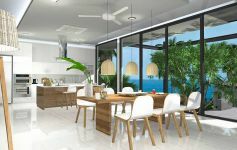 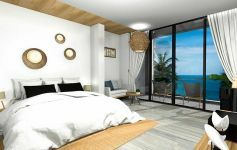 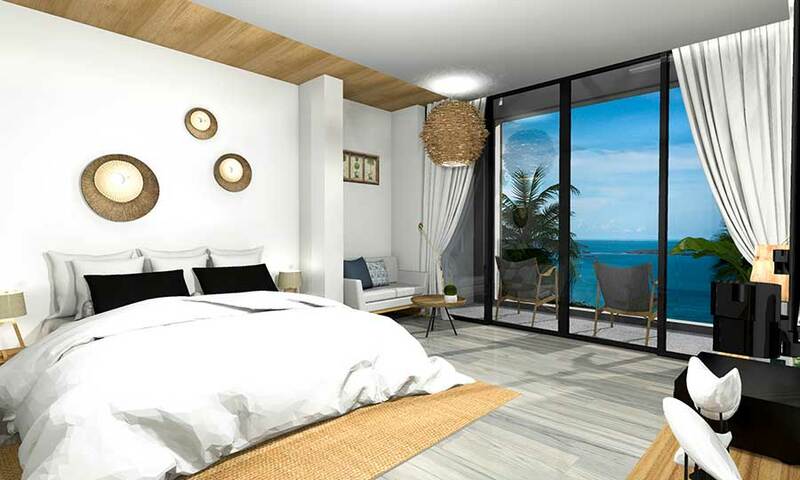 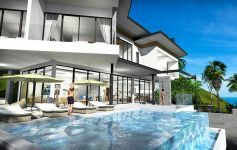 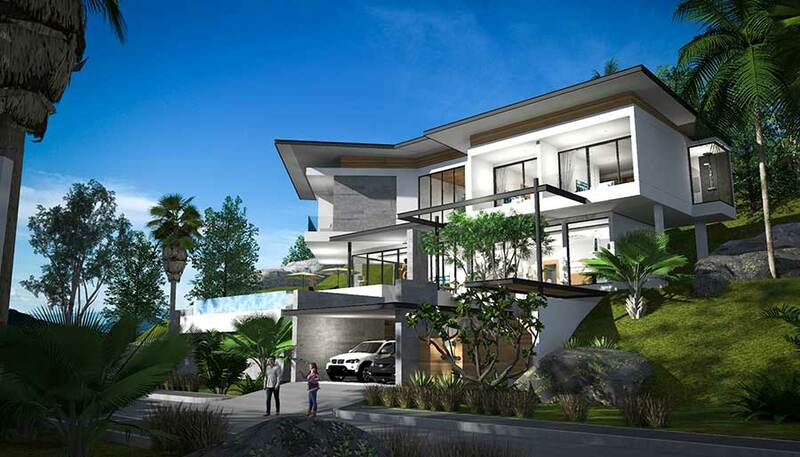 13 villas, a mix of 3 and 4-bedroom properties, are now available in the final phase of development in this luxury sea view villa project centrally located in the hillside of prestigious Chaweng Noi. 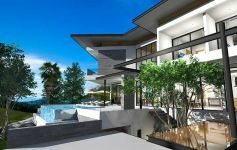 Each villa has its own infinity-edge pool and unobstructed ocean views of Chaweng Bay allowing you to take in the awe-inspiring sunrises and sunsets. 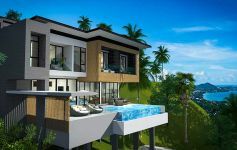 The style is tropical modern and the designs blend with stunning natural surroundings of coconut trees and striking granite boulders. 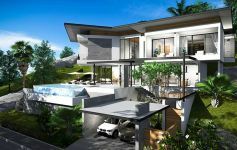 The villas are built on 2 levels with all the ensuite bedrooms on the upper level. 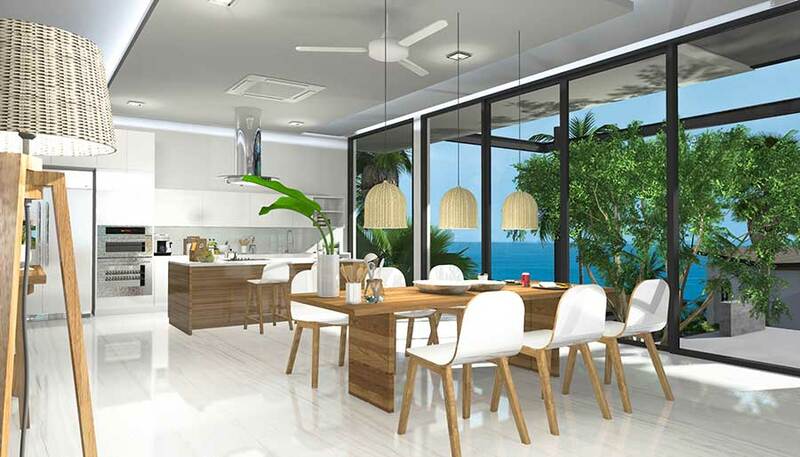 On the ground level is the open-plan living area and a European high-spec fitted kitchen. 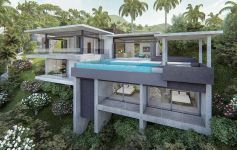 From the lounge area, sliding patio doors open to the terrace area and private infinity-edge pool. 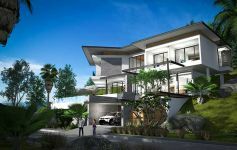 The complex has the best possible infrastructure with 8-metre internal roads, underground 3-phase electric, 4 deeps wells and fibre optics. 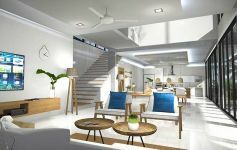 The development is also fullly managed, with optional in-house rental and estate management, plus has CCTV and 24/7 security guards. 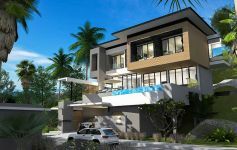 All 13 villas of Phase 3 are now under construction; the first unit (A16) is expected to be complete by the end of August 2018 and more to follow in the next few of months. 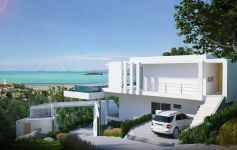 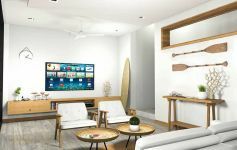 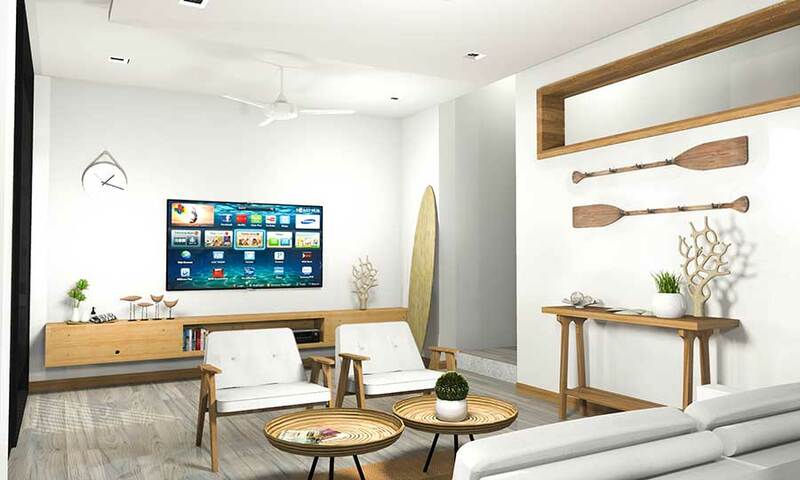 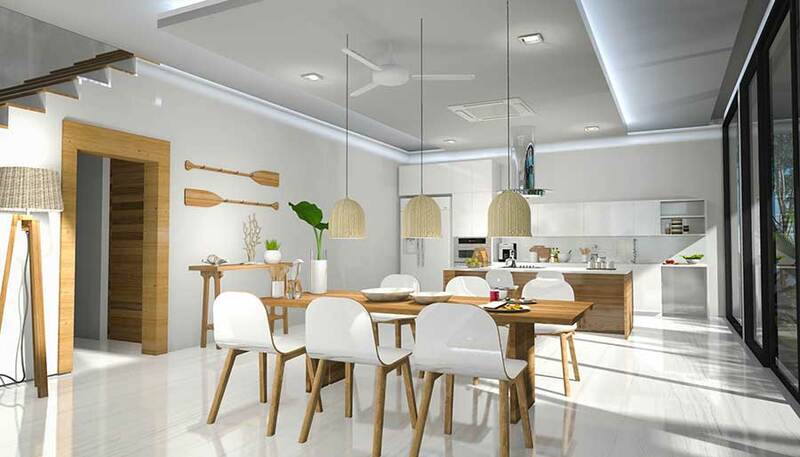 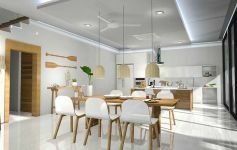 Villas A21 - A22 - A23 - A24 and A25 are already sold. 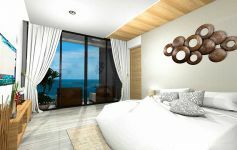 We only have two 4 Bedrooms left (A13 and A20) and six 3 Bedrooms with stunning views (A14 - A15 - A16 - A17 - A18 - A19). 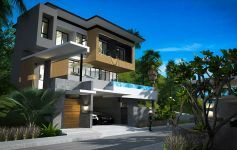 Increasing interest is expected in the upcoming months as more villas are completed. 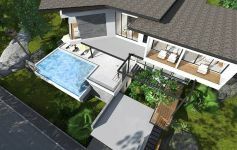 Recently completed 3-bed sea view villa pool villa centrally located in Chaweng Hillside. 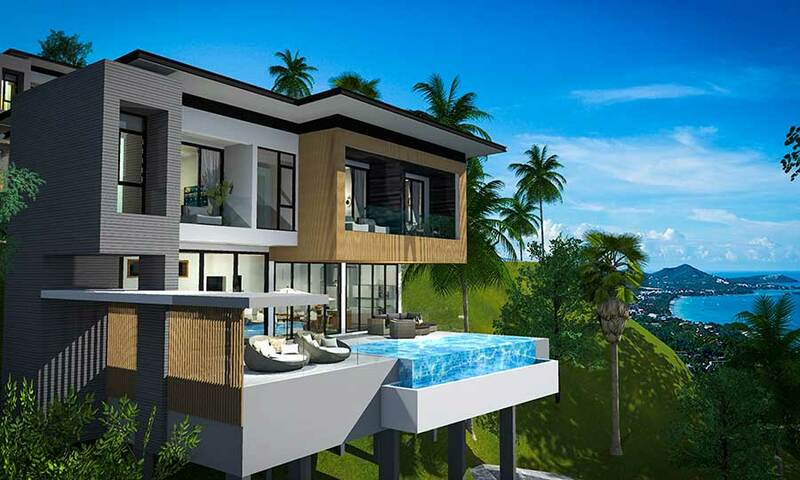 40 sqm infinity-edge pool with 180-degree ocean views. 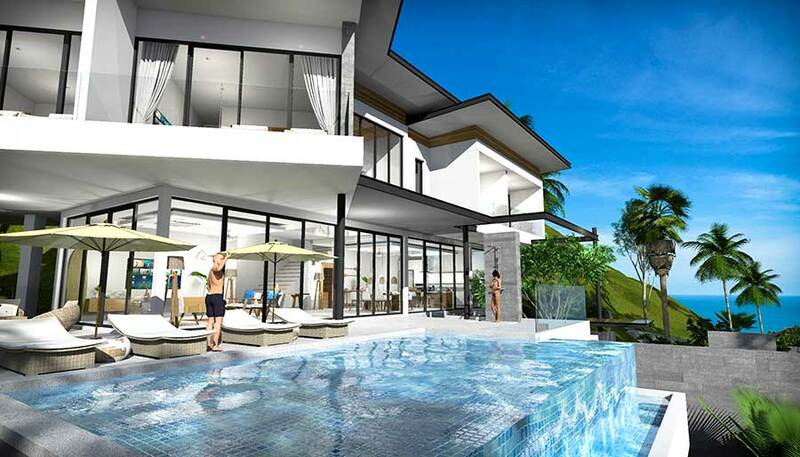 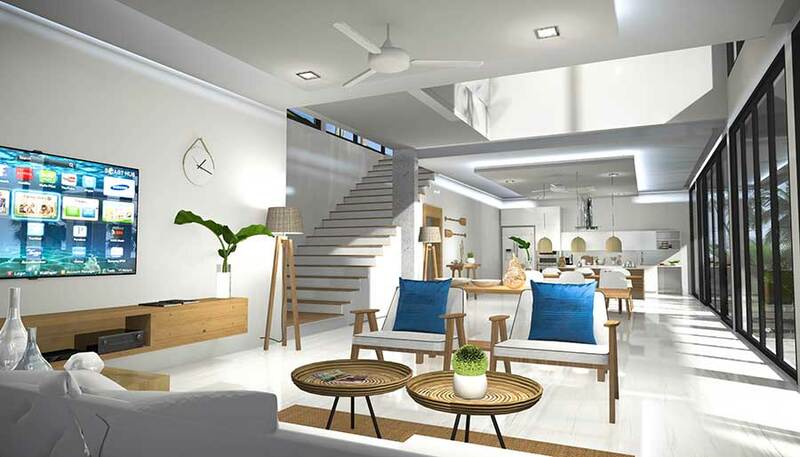 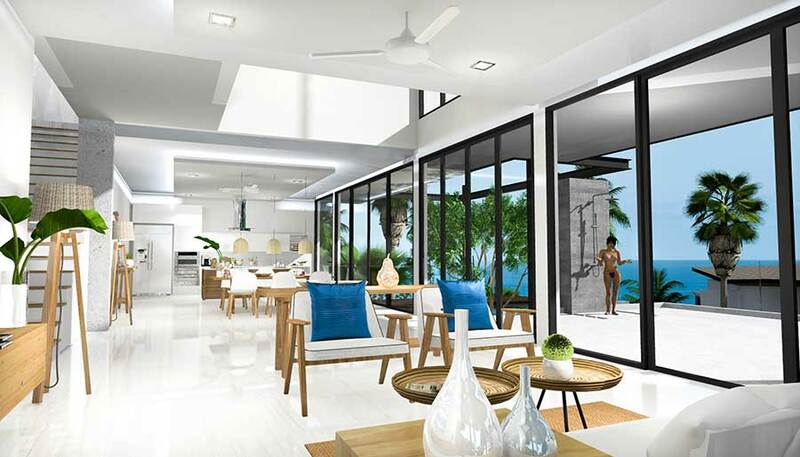 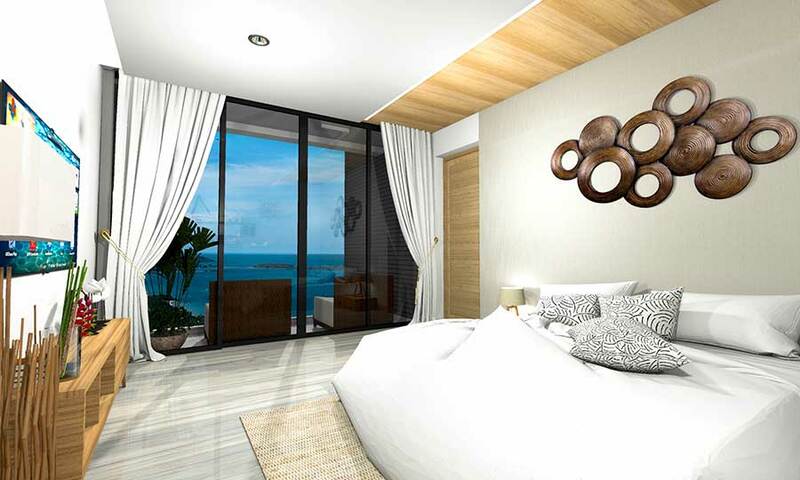 Nara Villas Type B - Contemporary sea view pool villas in Chaweng Noi. 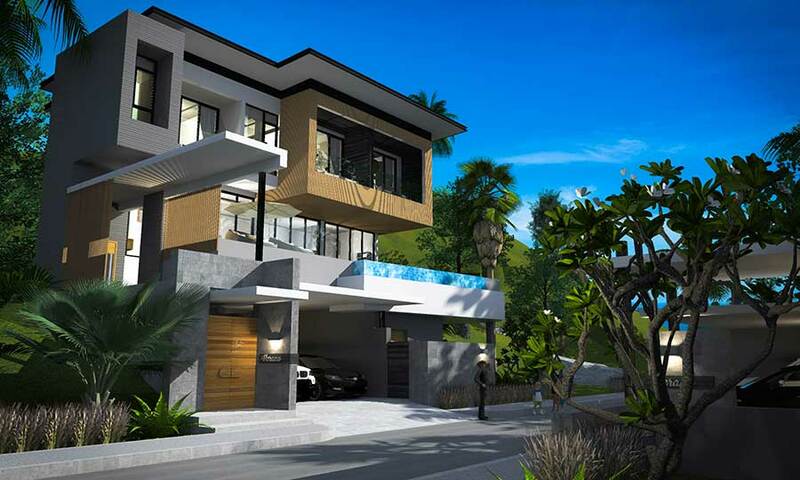 Secure gated estate by award-winning design team, Neo Estate.